The holiday season was all about giving, and six high school students definitely didn’t fall short this past December. 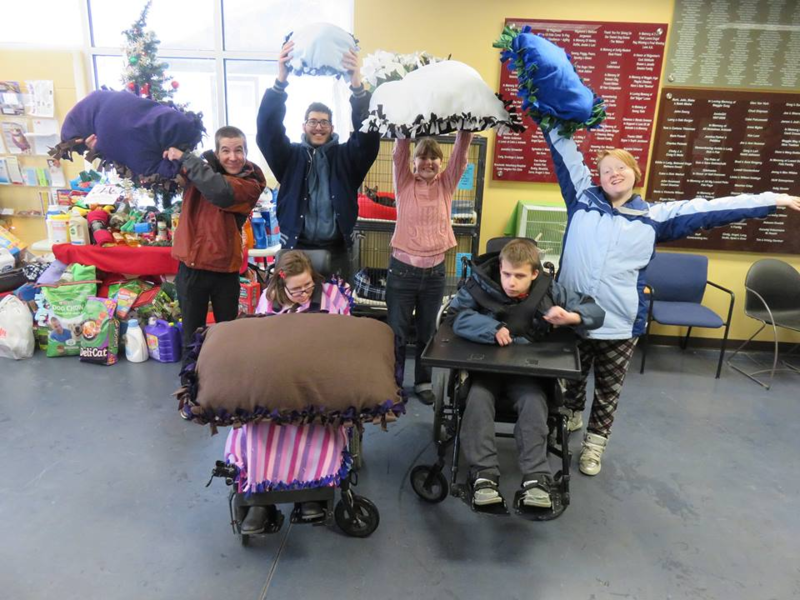 On Dec. 16, six of Mrs. Frahm’s students traveled to the Cedar Bend Humane Society during power hour to deliver their hand-made donations to the shelter. Students Rachael Carley, Isaac Millman, Taryn Ackerman, Jacque Vance, Zach Carr and Kylie Elser all contributed to the project. The idea all started with Carley. She wanted to reach out and help the animals at the shelter during the holiday season, so she suggested that her class donate to them. Her fellow students were quick to hop on board. She and her classmates made toys and beds for cats and dogs at the shelter using fleece, stuffing and catnip. Senior Taryn Ackerman even hand sewed the cat toys all by herself. “It was really fun to see all the little cats and kittens so happy,” Millman said. Special needs teacher Tammy Frahm said it was a thrill reaching out with students to help the community. The students agreed. “It makes you feel good, and it makes them feel good too. It makes you feel good to know that you’re helping people. It puts a smile on your heart, and it puts a smile on their heart too,” Carley said.